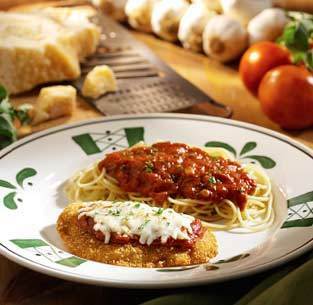 For those who have participated in a moderate level of competition or athletics you’re probably familiar with the term “carbo loading” with pasta. Complex carbs, like pasta, break down slowly in your digestive system and can help you sustain energy through a game, match, or workout. The problem is that 99% of the population doesn’t burn enough calories to require a high intake of complex carbohydrates from pastas and other carbohydrate-dense foods. 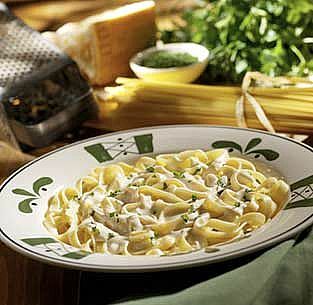 However, people still love to eat pasta because it tastes great and easy to make. My recipe for a “pasta substitute” not only tastes better, but is lower in carbohydrates and made up of more vitamins and minerals. This pasta recipe can also curb hunger, increase energy levels, and deliver superior vitamins, minerals, and nutrition levels to your body. 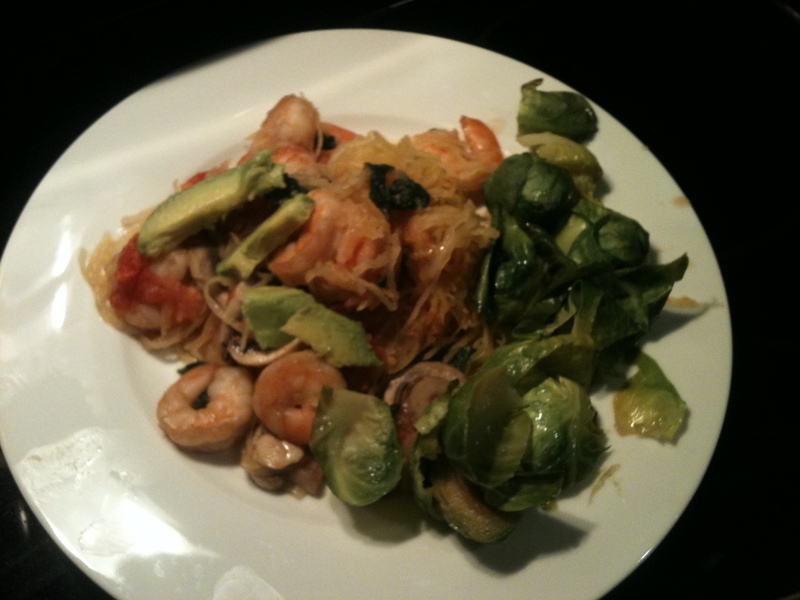 For those looking to take in more calories, top the pasta with avocado and brussels sprouts. Honestly, I shouldn’t even need to give a detailed explanation of the difference in nutrition as the results above are pretty staggering. 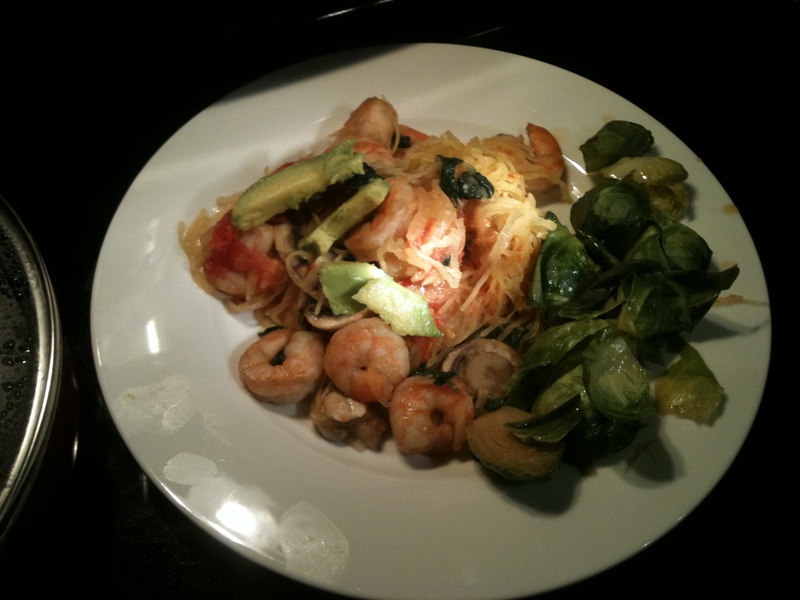 I will point out that besides having about 1/3 the amount of sodium and significantly lower carbs, calories, and saturated fats, the vitamins and minerals you get from the spaghetti squash itself is far superior to what you will obtain from traditional pasta noodles served at most restaurants. Spaghetti squash is loaded with vitamin C, B-6, thiamin, riboflavin, niacin, folate, pantothenic acid and vitamin K… to name a few. 1.Pre-heat the oven to 400 degrees. 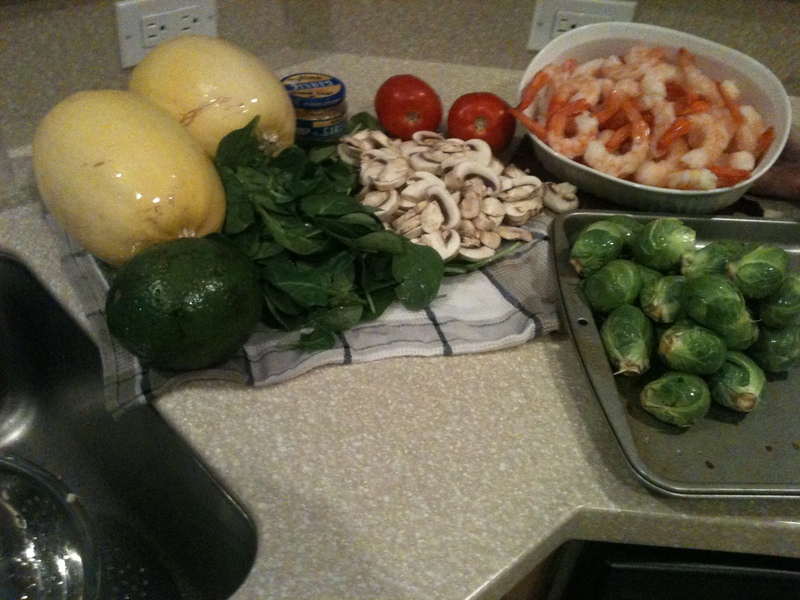 Cut the spaghetti squash in half length wise and clean out seeds and excess leftovers. 2. 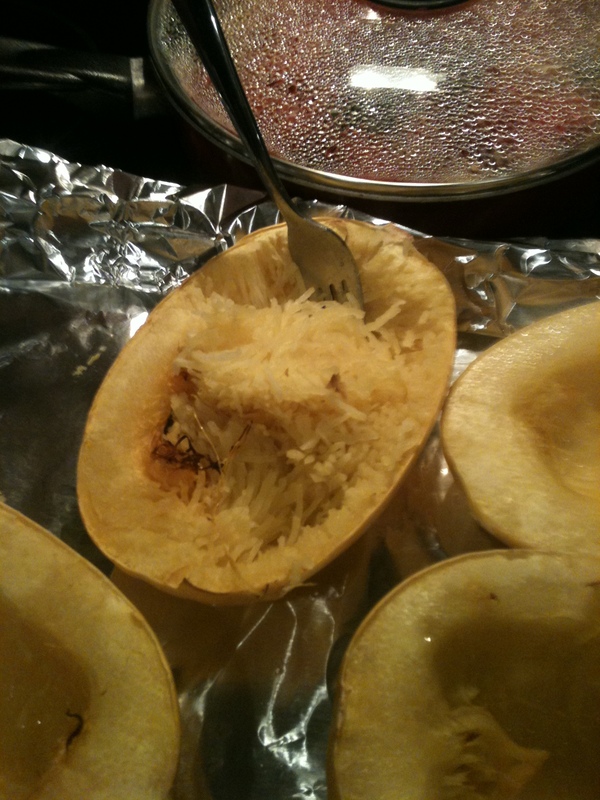 Lightly drizzle the inside edges of the spaghetti squash in oil to soften the insides. Cook for 30 minutes at 400 degrees. 3. Place the sliced mushrooms in the oven half way through squash cook time and cook for 15 minutes. 4. 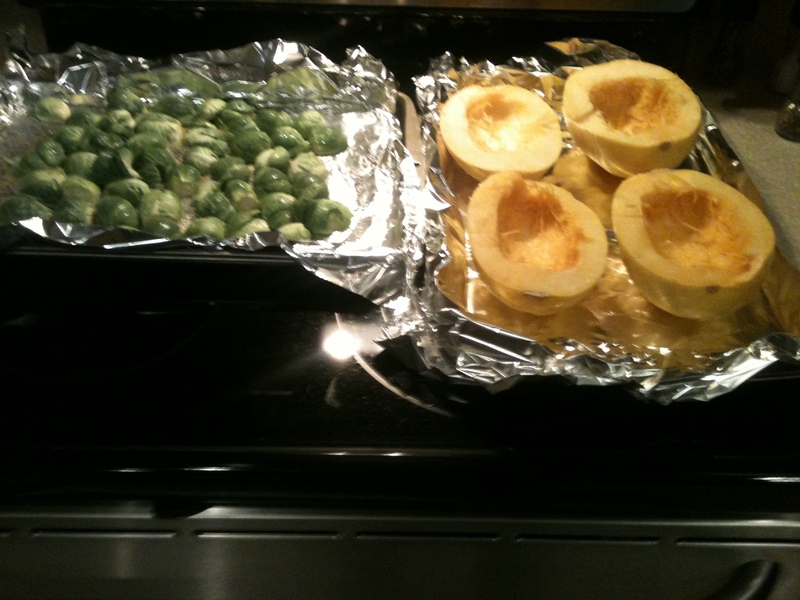 Remove from the oven and fork the squash into spaghetti strands until the squash shell is bare. 1. Remove tails from shrimp. 2. Lightly coat a pan with canola oil and turn on a high temperature. Add the chopped garlic clove. 3. 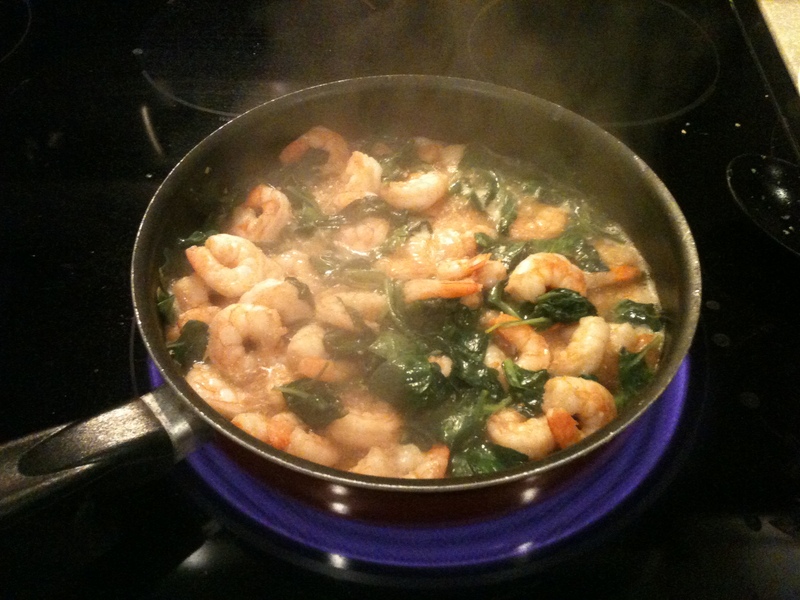 Add shrimp and drizzle with balsamic vinegar and soy sauce. 4. Add white wine to the edges of the pan. 5. 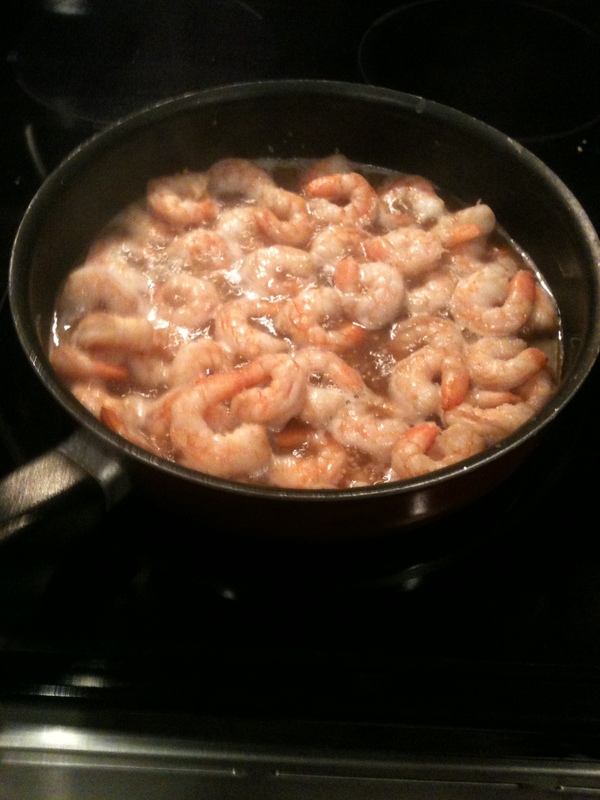 Cook shrimp for 10 minutes or until most of the liquid is disolved. 6. 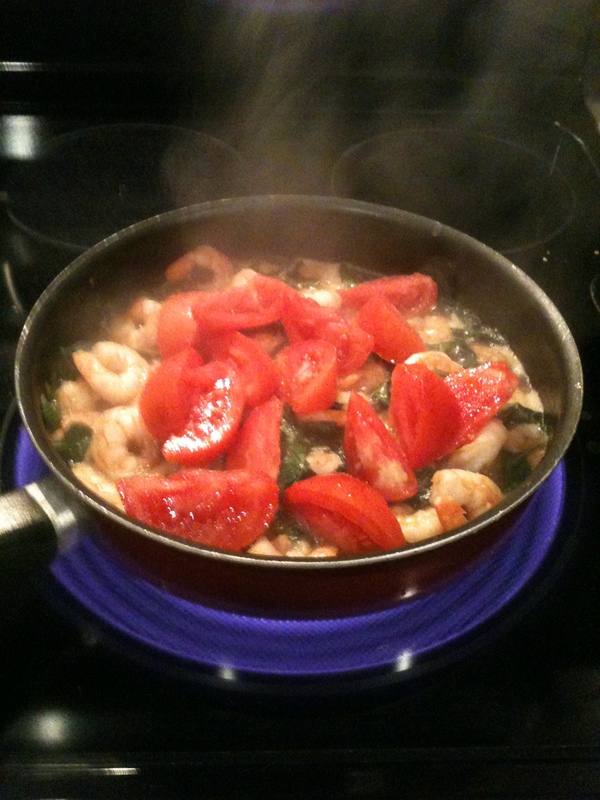 Add spinach and tomatoes.Cover and simmer on low. 7. 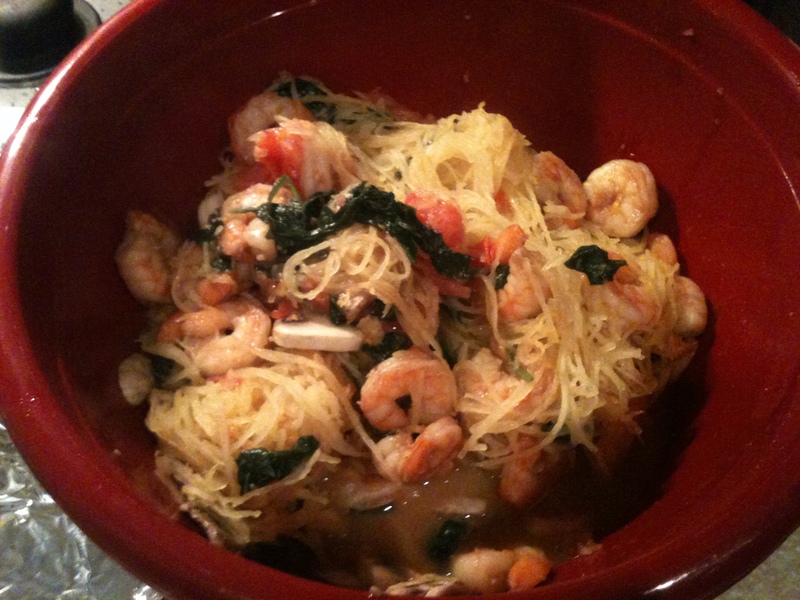 Add cooked mushrooms, spaghetti squash, and seared shrimp, spinach, and tomato to a large bowl. This is a great alternative to generic pasta with meat. Also, this is just a foundation. If you are looking to add more protein or calories, mixing in other great stuff like chicken and black beans is highly encouraged. I hope you enjoy this recipe and I appreciate all the great feedback and questions I have been receiving. Thanks.